Won for Best Picture; Best Director. Nominated for Best Actress-Spring Byington; Best Screenplay; Best Cinematography; Best Film Editing; Best Sound. Frank Capra’s second Oscar-winning flick, 1938’s You Can’t Take It With You introduces us to the firm of Kirby and Company. Anthony Kirby (Edward Arnold) wants to monopolize the munitions business, and he desires to put competitor Ramsey (H.B. Warner) out of business. To do so, he needs to purchase all of the buildings within the 12 blocks that surround Ramsey, but one of the owners refuses to sell. That would be Martin Vanderhof (Lionel Barrymore), a man whose home houses a clan of free spirits who do what they want. One dances, another writes, one other invents; essentially they feel free to pursue their dreams. Vanderhof refuses to sell his house despite the pestering of Kirby’s minions. 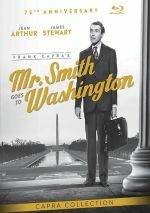 The romantic involvement of Kirby’s son Tony (James Stewart) and Vanderhof’s granddaughter Alice Sycamore (Jean Arthur) complicates the tale. Not only does Alice serve as Tony’s secretary, but also the two love each other and plan to marry. Given their disparate backgrounds, this seems like a tough match, but they try to get their families together. A further impediment occurs when the IRS comes a-calling to the Vanderhof residence. It seems that Martin never bothered to pay income tax, as he didn’t trust the government to spend it appropriately. He owes 22 years back taxes, which puts him in such a financial bind that he might need to sell the house. You Can’t Take It With You mostly seems like sentimental piffle, but it appears well done for that genre. Directed by Capra, the film shows all the normal hallmarks of his flicks, and foes of his style certainly won’t find anything to change their opinions here. Actually, Take feels something like a dry run for a better-known Capra film, 1946’s It’s a Wonderful Life. Much about the two movies appears dissimilar, but Take bears quite a few moments that resemble those of Wonderful. Where Take and Wonderful differ stems from their overall tones. Wonderful is more of a moral lesson as a whole, while most of Take functions as a wacky comedy. Sure, the movie inserts social commentary with some regularity; the flick definitely feels like a piece of its Depression era, as we see the nobility of the common man opposed to the aloofness of the elite. However, Wonderful focuses more on the life lessons of one character, while Take pushes comic situations over story for the most part. Granted, we’re frequently led to see the loosy-goosy Vanderhof clan as the ideal and the stuffy Kirbys as a drag, but much of the time, this feels mostly like an excuse for comedic shenanigans. Take benefits from some good performances. Some of the actors get on my nerves – Dub Taylor and Ann Miller seem annoying at times – but they appear less grating than I’d expect. In its free-spirit tone, Take reminds me of the hippie-era travesty Harold and Maude. However, the characters of Take never appear nearly as smug and obnoxious as those in Maude. I normally hate this kind of “do what you feel like” tale, but the extended Vanderhof clan manage to come across as generally likable. Jean Arthur does particularly well with Alice. We have to believe the character as someone from the Vanderhof family who also could fall in love with a Kirby, and she spans the two disciplines well. Granted, it helps that we see that Tony isn’t uptight like his parents, but I still think that Arthur encountered a big challenge with Alice. She makes the role lovely and charming. Ultimately, You Can’t Take It With You feels like an enjoyable and well-executed but somewhat insubstantial movie. Admittedly, it’s nice to see that the Academy honored comedies more willingly back in the Thirties; it seems doubtful that a flick such as this could win Best Picture in modern times. Not much about Take made a major impact on me, but it offers a fairly entertaining piece. You Can’t Take It With You appears in an aspect ratio of 1.37:1 on this Blu-ray Disc. Given the movie’s age, this became an appealing transfer. Sharpness seemed pretty good. A little softness emerged, partly affected by the heavy grain that showed up throughout the film. Despite that, the image was usually pretty accurate and concise. Jagged edges and moiré effects caused no issues, and I also noticed no signs of edge enhancement. Print flaws were minor. I noticed a few small specks, but nothing more than that. As mentioned, the image seemed grainier than usual, but I didn’t mind this. For the most part, black levels remained pretty deep and dense. Low-light shots also offered good clarity, with nice delineation in shadows. A few shots looked a bit bright but those were mild intrusions. Overall, the movie gave us a pleasing presentation. The DTS-HD MA monaural audio of You Can’t Take It With You came across as satisfactory, as the track lacked many notable flaws. Background noise failed to become an intrusion, as the mix seemed free from the usual pops and clicks that often appear in films of this era. The quality of the audio was perfectly acceptable given the movie’s age. Speech appeared clear and intelligible; the lines could be a little thin, but they were surprisingly natural. Effects and music followed suit. While neither displayed much life, they seemed more than adequate for older recordings. This wasn’t a powerhouse of a mix, but it appeared pretty good when I considered its vintage. How did the Blu-ray compare to the 2006 DVD release? Audio was a little warmer, though there wasn’t much the lossless track could do with the ancient source. A movie from 1938 won’t ever sound great, so this was about as good as I could anticipate. Visuals showed more obvious improvements. The Blu-ray appeared better delineated and cleaner, with stronger contrast and dark tones. I thought the Blu-ray gave us a clear step up over the DVD. 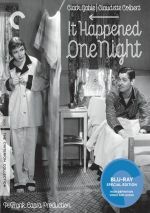 The Blu-ray duplicates the 2006 DVD’s extras, and we start with an audio commentary from director’s son Frank Capra Jr. and author Cathrine Kellison. Both sit together for this running, screen-specific chat. They discuss cast and crew, music and cinematography, sets, comparisons with the original play, themes and the director’s fondness for stories of individuality, and other scene specifics. Capra also reads some relevant details from his dad’s autobiography. Capra and Kellison turn out a disappointing commentary. They throw out some decent notes, and I like the story Capra relates about his dad’s conflict with Columbia chief Harry Cohn; this pops up around the movie’s halfway point and briefly enlivens matters. Unfortunately, most of the track features praise for the flick and laughing as the participants watch it. This turns out to be a lackluster and often dull track. In addition to the film’s theatrical trailer, we locate Frank Capra Jr. Remembers… You Can’t Take It With You. In this 25-minute, 42-second featurette, we hear from the younger Capra as well as Columbia University Associate Professor of Film Richard Pena, and Frank Capra Archives curator Jeanine Basinger. The program starts with info about old Frank’s conflict with Cohn. The show also gets into comparisons between the movie and the play, various aspects of the cast, characters and story, and other thoughts about the elder Capra. “Remembers” digresses a little at times, but it usually proves satisfying. Since it covers the Cohn story, it includes the main attraction from the commentary and renders that chat fairly superfluous. Indeed, Capra covers most of the same material, so there’s little reason to screen the commentary. The other participants also bring out some nice notes, especially as Basinger delves into the differences between the flick and the play. This is a reasonably informative little piece. The package concludes with a hardcover book. Bound as part of the Blu-ray’s case, this presents an essay from Jeremy Arnold as well as photos and credits. The book adds value to the set. You Can’t Take It With You doesn’t stand as one of the strongest Best Picture winners, and it doesn’t even appear to be one of Frank Capra’s top flicks. Nonetheless, it comes across as generally likeable and amusing, and it does more right than wrong. The Blu-ray delivers pretty good picture and audio along with a small set of supplements. The movie doesn’t dazzle, but it entertains, and the Blu-ray represents it well.